There is so much to choose from nowadays in the skincare market. 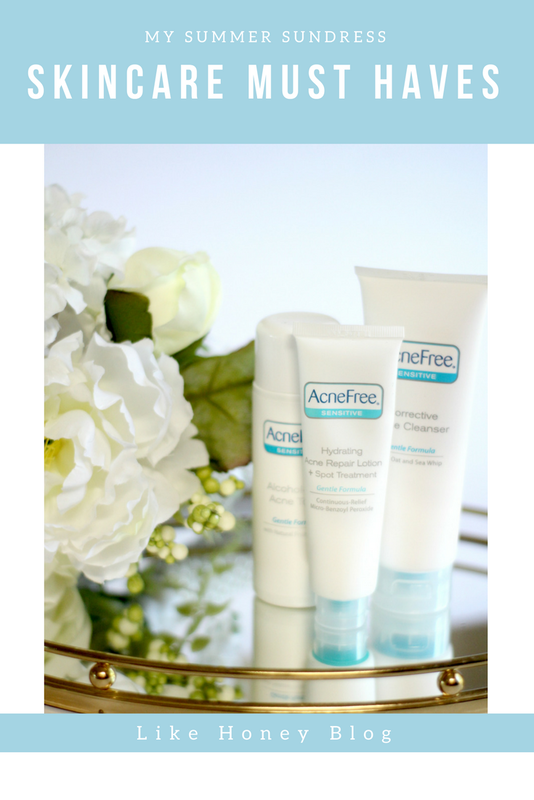 Searching for new products can be overwhelming, so I love that AcneFree provides a daily treatment kit. There's no guesswork and no questions--just three simple steps to better skin! I just browsed through a few products on Amazon and found exactly what I needed--plus my Prime membership meant free 2-day shipping! I grabbed the AcneFree Sensitive Skin 24 Hour Acne Clearing System since my skin can be prone to irritation and haven't had any issues! This system seems to work better than other acne clearing systems I've tried because of the micro-sized benzoyl peroxide. This smaller size allows it to penetrate deeper into pore more quickly without being harsh to delicate facial skin. The 24 Hour kit includes 3 products: Corrective Acne Cleanser, Alcohol-Free Toner, and Hydrating Acne Repair Lotion + Spot Treatment. I love that I can use all of these on my chest and back as well, because I always dread those sudden shoulder breakouts that happen during the summer. I'm loving all the backless and strapless trends right now, so having a product that works doubletime really pays off for me. The repair lotion also doubles as a spot treatment which is perfect for keeping those pesky hormonal breakouts under control. I also picked up this AcneFree Body Clearing Spray for those hard to reach spots along my back. 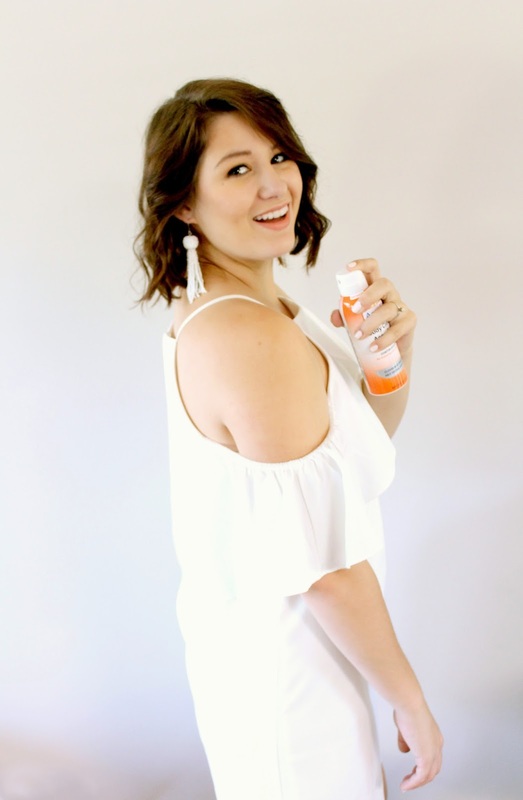 It allows you to spray at any angle so you can fight those lower back acne battles easily. I think this would be a great product to keep in your gym bag or locker this coming school year to keep any sweat-induced breakouts at bay! 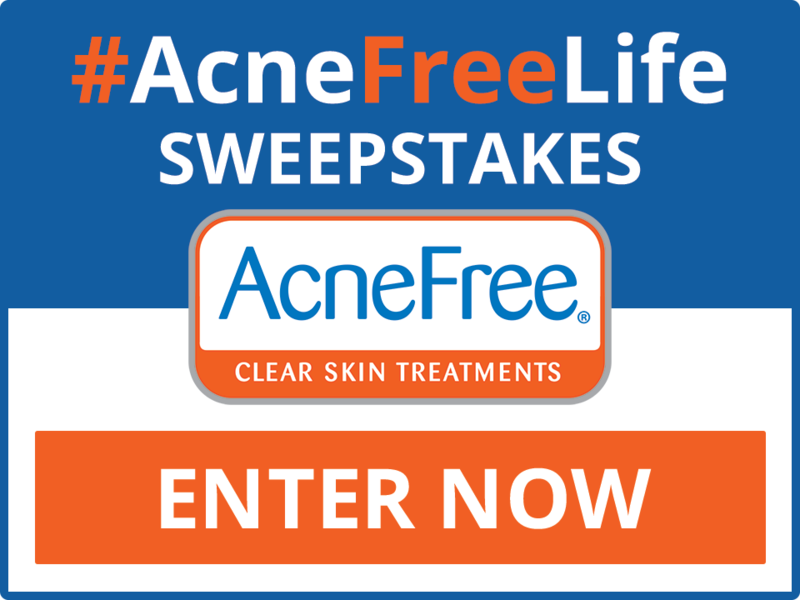 Participate in the #AcneFreeLife Sweepstakes – See Visible Results in As Few As 3 Days! AcneFree is launching a 4-week sweepstakes on August 14th, 2017. 3 Grand Prize Winners will win $1,000 spending money and AcneFree Supplies for a year. Additionally, AcneFree will give away 10 AcneFree® 24 Hour Acne Clearing Systems every week for 4 weeks. No Purchase Necessary. To enter, simply enter your name and email address at http://cbi.as/9rasp Use the form to follow on Instagram and Facebook to earn extra entries. Do you have a special routine during the summer to keep your skin clear? Check out the #AcneFreeSummer Social Hub to see more summer skincare inspiration and share your favorite skincare secrets below! Always looking for new skin products to try out. Adding these lovelies to my list! I've never heard of an acne spray! That's genius, especially for the body! Sometimes it's hard to reach some of those spots on the back. I bet the hydrating lotion is great for winter too. My skin is always extra sensitive and dry when it's cold so I'm thinking this might do the trick. Thanks for sharing! Spray are so much more convenient to use and have on the go. I am all over anything that said hydration. This is so random but I love your blog layout and header and everything! The design is so cute! Neutral Fall Layers + The BEST Birthday Gift!